Laidback Luke has a new logo after more than 10 years with the redwhiteblue one check it out. Get down and gear up for EDC with Laidback Luke’s most recent radio show on Club FG. Successfully migrated blog archive to a new host Media Temple that I have been using for my personal blog. All links to media from this site have been removed sorry. This blog will soon be moved to blog.freshreplay.com and freshreplay.com will be the home of a music web application I am developing. Stay tuned. New track was premiered by Swedish House Mafia during WMC last week. The title is not confirmed yet and there are some rumors that it will be called “Gangstar” or “Gangsta”. Dropping of the track at the Size pool party. 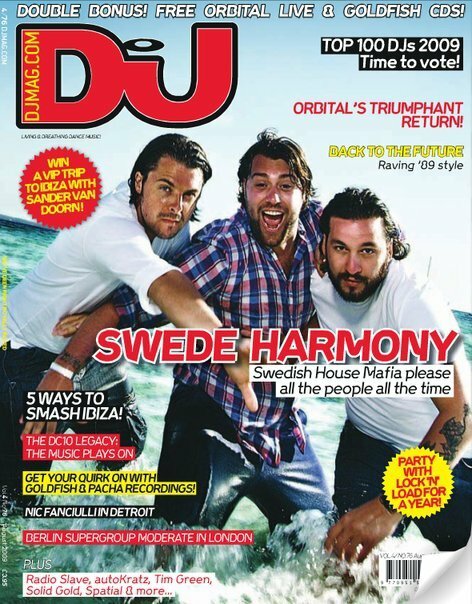 Steve Angello, Sebastian Ingrosso and Axwell finish the night at Mansion (03-26-2010) by debuting their brand new collaboration for Swedish House Mafia – GANGSTA. Below is a HQ cut of the track. This track is likely to drop with Laidback Luke’s Super You&Me ft. Avicii’ compilation but for now enjoy a preview below. 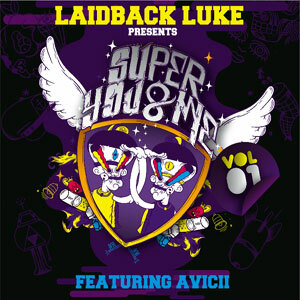 The ‘Laidback Luke presents Super You&Me ft. Avicii’ compilation will drop on Luke’s own label Mixmash April 9 – a 2CD package condensing all the superhero adventures into a perfectly formed format, ready to let loose on your stereo. Sliced in to two halves, CD1 sees Luke take to the controls slamming down every inch of Dutch might the man from Holland has become famed for; meanwhile, burgeoning Swedish sensation Avicii rounds off with an exhibition of ‘chunk’d’ up tunes on CD2. Axwell’s remix of “In The Air” by Tv Rock feat. Rudy will be released on Data Records on 3rd May 2010. Although it was already released on Axwell’s Axtone Records, the track has now massive support from British music giant Data Records. Watch the official video for this song below. DanceTrippin 149: MOBY @ Space Ibiza from DanceTrippin.tv on Vimeo. So it’s almost been a year since Swedish House Mafia tore up WMC in Miami, followed by your residency in Pacha Ibiza, two huge sold out shows in Brixton and countless hits along the way. Away from SHM what have you been up to since Miami 09? Wow it has been a HUGE 2009 for all of us – and trust me – it’s never easy to follow up on a huge year. After Miami last year I focused on my Label (SIZE) and my own artist album. The album might be done 2010, we’ll see. If I keep being as disciplined as I am right now I might pull it off before the summer – fingers crossed. Other than that, doing my 160 gigs a year and just try keep it fresh and exciting for my fans and followers. It’s been a hell of a trip but it’s been amazing. Your label, SIZE Records, has many big names on the roster such as Sebastian Ingrosso, Laidback Luke, Funkagenda and Afrojack. How is running your own label different from just being a DJ/Producer? I guess running a label is like running your own clothing store or restaurant. It’s a display of what you like and believe in and as far as talent there’s a lot out there and a lot of undiscovered artists that need a home. So I’m all in on that and try to locate this talent to keep it young and going. WMC 2010 in beautiful Miami, Florida is now just days away; what is your favourite WMC memory? Has to be first party with my boys in Swedish House Mafia – we did a small club, it was packed and for us that was a huge achievement! Look at us now… Hard work pays off !!! Do you have a favourite bar and/or club in Miami, during WMC week or otherwise? There are three places i cant get enough of – NOBU which is my absolute favorite restaurant chain in the whole world; Texas de Brazil which is the best Brazilian steak house in the world; and then my favorite sandwich place called La sandwicherie…. perfect hangover food!!! Your pool party, SIZE Matters, held at Eden Roc Renaissance Resort and Spa on Thursday 25th showcases the best your label has to offer with Afrojack, AN21, Christian Smith, Funkagenda and Kim Fai all scheduled to appear alongside yourself. How do you select artists for your label? I look for an artist that has a great output and great productivity. It’s important for me to have an act that changes sound and tries new stuff with every second track they release. A lot of people out there don’t understand how hard it is to be productive with so many gigs on the schedule, so all respect for the DJs/producers that can do it. Hats off!! 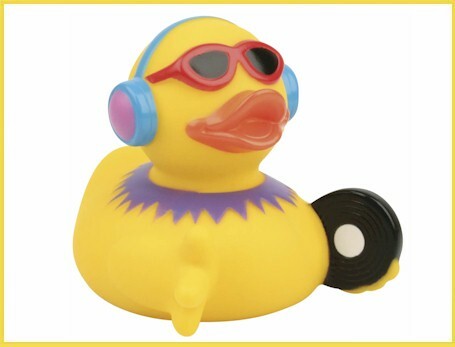 The track Bangduck! by Afrojack has finally been released enjoy. Inspired by Boris Dlugosch – Bangkok and produced in 2 hours!